Dirk Kroese's research interests are in: Monte Carlo methods, rare-event simulation, the cross-entropy method, applied probability, and randomised optimisation. 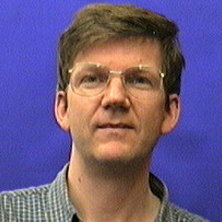 Dirk Kroese is a professor of Mathematics and Statistics at the School of Mathematics and Physics of the University of Queensland. He has held teaching and research positions at The University of Texas at Austin, Princeton University, the University of Twente, the University of Melbourne, and the University of Adelaide. His research interests include Monte Carlo methods, adaptive importance sampling, randomized optimization, and rare-event simulation. He has over 90 peer-reviewed publications, including four monographs: Simulation and the Monte Carlo Method, 2nd Edition, 2008, John Wiley & Sons (with R.Y. Rubinstein), The Cross-Entropy Method, Springer-Verlag, 2004, (with R.Y. Rubinstein), the Handbook of Monte Carlo Methods, John Wiley & Sons, 2011 (with T. Taimre and Z.I. Botev, 772 pages), and Statistical Modeling and Computation, 2014 (with J.C.C. Chan). The Cross-Entropy (CE) method has been described as �one of the most significant developments in randomised optimisation and simulation in recent years.� In a nutshell, the CE methods involves an iterative procedure where each iteration can be broken down into two phases: (a) generate a randon data sample (trajectories, vectors, etc.) according to a specific mechanism; (b) update the parameters of the randdom mechanism based on this data in order to produce a �better� sample in the next iteration. I am one of the pioneers of the CE method. The simplicity and versatility of the method is explained in my book with R.Y. Rubinstein: The Cross Entropy Method: A Unified Approach to Combinatorial Optimisation. Monte-Carlo Simulation, and Machine Learning, Springer Verlag, 2004. The CE method has been applicatied to problems in reliability theory, buffer allocation, telecommunication systems, neural computation, control and navigation, DNA sequence alignment, scheduling and Max-Cut and bipartition problems. Many systems in information technology and telecommunications evolve under conditions of uncertainty. In this context, mathematical modelling is an essential component of the design process. This ARC Discovery Project is focused on providing techniques for analysing operanalytic models, which can be used to study many of the above-mentioned systems. The project aims to deliver new theory and efficient numerical algorithms that will make possible practical analysis of operator-analytic models. Wang, Erli, Kurniawati, Hanna and Kroese, Dirk P. (2018). An on-line planner for POMDPs with large discrete action space: A quantile-based approach. In: 28th International Conference on Automated Planning and Scheduling, ICAPS 2018. 28th International Conference on Automated Planning and Scheduling ICAPS 2018, Delft, Netherlands, (273-277). 24 - 29 June 2018. Large Scale Sequential Decision Making in an Uncertain World. Kroese, Dirk P., Taimre, Thomas, Botev, Zdravko I. and Rubinstein, Reuven Y. Solutions manual to accompany simulation and the Monte Carlo Method 2nd ed. Hoboken, N.J., U.S.A.: Wiley-Interscience, 2007. Rubinstein, R.Y. and Kroese, D. P. The Cross-Entropy Method: A Unified Approach to Combinatorial Optimization, Monte-Carlo Simulation and Machine Learning. New York: Springer, 2004. Brereton, Tim J., Kroese, Dirk P. and Chan, Joshua C. (2013). Monte Carlo methods for portfolio credit risk. In Daniel Rösch and Harald Scheule (Ed. ), Credit securitisations and derivatives: challenges for the global markets (pp. 127-152) Chicester, United Kingdom: John Wiley & Sons. Preface : From the issue entitled "The Cross-Entropy Method for Combinatorial Optimization, Rare Event Simulation and Neural Computation"
Kroese, Dirk P. and Nicola, Victor F. (1998) Efficient Simulation of Backlogs in Fluid Flow Lines. AEU-Archiv fur Elektronik und Ubertragungstechnik, 52 3: 165-171. Kroese, Dirk P. and Schmidt, Volker (1992) A continuous polling system with general service times. Annals of Applied Probability, 2 4: 906-927. Sofronov, G. Y., Evans, G. E., Keith, J. M. and Kroese, D. P. (2007). Identifying change-points in biological sequences via sequential importance sampling. In: L.. Oxley and D. Kulasiri, Proceedings of the 17th Biennial Congress on Modelling and Simulation. 17th Biennial Congress on Modelling and Simulation (MODSIM07), Christchurch, New Zealand, (2917-2923). 10-13 December, 2007. Sani, A. and Kroese, D. P. (2007). Optimal epidemic intervention of HIV spread using the cross-entropy method. In: Oxley, L. and Kulasiri, D., Proceedings of the 17th Biennial Congress on Modelling and Simulation. 17th Biennial Congress on Modelling and Simulation (MODSIM07), Christchurch, New Zealand, (448-454). 10-13 December, 2007. Botev, Z. I., Kroese, D. P. and Taimre, T. (2006). Generalized cross-entropy methods for rare events and optimization. In: 6th International Workshop on Rare Event Simulation (RESIM 2006), Bamberg, Germany, (1-30). 8-10 October, 2006. Botev, Zdravko and Kroese, Dirk P. (2004). Global likelihood optimization via the cross-entropy method with an application to mixture models. In: , , (529-535). .
Botev, Z. I. and Kroese, D. P. (2004). Global Likelihood Optimization Via The Cross-Entropy Method With An Application To Mixture Models. In: Ingalls, R. G., Rossetti, M. D., Smith, J. S. and Peters, B. A., Proceedings of the 2004 Winter Simulation Conference. 2004 Winter Simulation Conference, Washington, USA, (529-535). 5-8 December, 2004. Kroese, Dirk P. and Nicola, Victor F. (1999). Efficient simulation of a tandem Jackson network. In: 1999 Winter Simulation Conference Proceedings (WSC), , , (411-419). December 5, 1999-December 8, 1999. Garvels, Marnix J J and Kroese, Dirk P. (1998). Comparison of RESTART implementations. In: Proceedings of the 1998 Winter Simulation Conference, WSC. Part 1 (of 2), , , (601-608). December 13, 1998-December 16, 1998. Garvels, M. J. J . and Kroese, D. P. (1998). A comparison of RESTART implementations. In: Proceedings of the Winter Simulation Conference. Winter Simulation Conference, Washington, DC, United States, (601-609). 13-16 Dec 1998. Kroese, DP and Nicola, VF (1998). Efficient simulation of backlogs in fluid flow lines. In: Aeu-International Journal of Electronics and Communications. Workshop on Rare Event Simulation, Aachen Germany, (165-171). Aug 28-29, 1997. Joshua C. C. Chan and Dirk P. Kroese (2010). Improved Cross-Entropy Method for Estimation. , School of Economics, University of Queensland. Asmussen, S., Kroese, D. P. and Rubinstein, R. Y. (2004) Heavy Tails, Importance Sampling and Cross-Entropy.